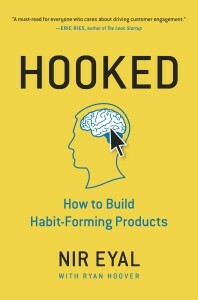 Expectations are high when one of the iconic names in UX puts out a book expectations are high. 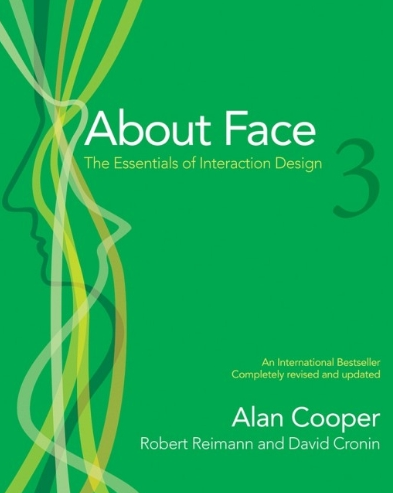 Don’t Make Me Think is rightfully considered essential reading among UX designers. 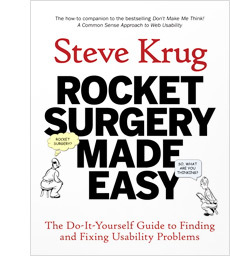 But his work Rocket Surgery Made Easy tackles a topic more apt for a screed than a highly engaging manual; however, whereas it might have been essential in 2009, a lot of Krug’s advice is now commonplace enough to be mundane among practicing professionals. Shall we review anyway? 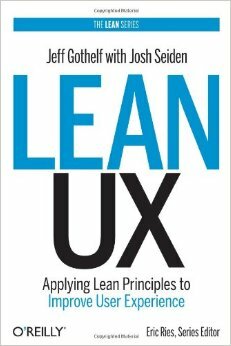 We’ve already talked about Gothelf’s Lean UX, but the premise of Krug’s 2009 work is essentially the same. Test at regular intervals, and test narrowly. Test to identify the biggest problems. Surely a wide-ranging test of hundreds will identify as closely as one can all the problems. In all truth, rarely does a budget exist to support that sort of test. Similarly, that sort of “all eggs in one basket” sort of text jives more-so with the waterfall method of software development, which is hopelessly out of style [and for good reasons, truth be told] in software shops. Ever budget sensitive, Krug even suggests testing arrangements for any price. Find some free software? 3 users? Boom. 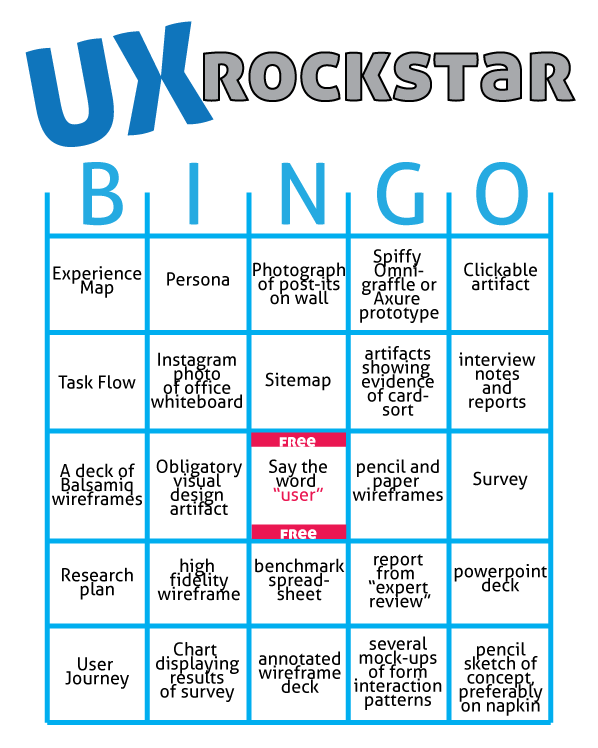 The point is clear: budget shouldn’t preclude you from doing user testing. Important advice [and well told] for those who work in UX at non-profits and the like. As I said, not revolutionary today, but the advice is still sound. If you’re new to the profession, Krug offers a hard-to-fail-at checklist to ensure you make a good test happen. It’s entirely lean and a natural fit for the agile processes. For experienced professionals, its a helpful set of reminders that comes with a familiar feel-good-name attached to it. 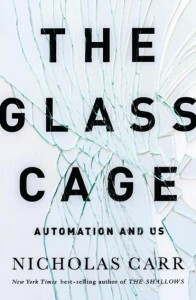 Consideration of how a product makes a person is a critical part of what user experience can bring to a project; however, Nicholas Carr’s The Glass Cage offered a source of insight into some surprising results of a recent set of interviews. Staff members historically were tasked with planning a complex event. It involved many different people, diverse needs, rigid time structures, and with so many moving parts, the actual day of the event was fraught with stressors galore. The time that went into planning these events; the stress they caused; and the need for the participants to have a good outcome caused the business to identify it as a place where we could help people. Automation of the arrangement [taking all the variables into account], was identified early on as a potential solution to the needs we clearly heard and identified during the research portion. 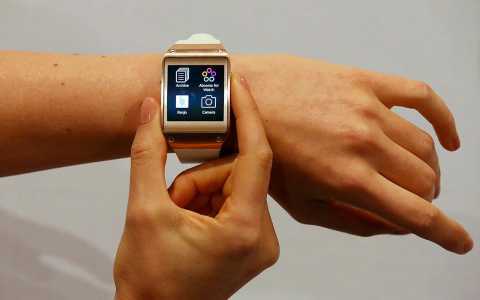 However, when we tested it, the automation functionality was viewed with skepticism and alarm. Some other factor seemed at play behind the reactions. During our interviews, we consistently heard how “proud,” users were of coordinating such an elaborate event. Many identified it as one of the most important functions they performed. This event required creativity, agility, and quick thinking. Our users may have found it frustrating, but probing deeper, they also found this task to be a core part of their identity at work. This was what they did, and pulling it off gave them great satisfaction. Our initial designs concepts would have certainly saved them time, but at what cost? The cost was human. This is the tension posed by automation, and the tension that Nicholas Carr elucidates in his book. Carr points out the tension of airline security vs. the role of pilots. Most planes can be safely flown with nearly no interaction from the pilot. During this period of increased automation, Pilots have self-reported decreases in their skill-sets (page 64); however the cost of this has been great in terms of the human and emotional. Certainly in the realm of air travel, automation has made things safer and more efficient. The intention isn’t to be a Luddite, and suggest that progress, change, and efficiencies are not important things to work for. The lesson flying has for us as practitioners of user experience is to consider the ways that [especially when designing business applications] that work/self worth are internalized in the execution of a task or the use of a tool. 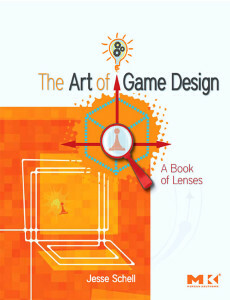 Certainly Human-Factors studies have long advocated for designing from a user’s capabilities outward (page 167), such as game designers have (page 181-2) whereby a program can develop a user’s skill in a certain area by operating at the periphery of their ability. The program challenges them to think, and we gain by developing a skilled, motivated and most importantly (especially for airlines) engaged user. In short, taking the lessons and cautions from the research we were able to design an experience which combined elements of game-thinking while challenging them to think creatively about how to plan out the day. The interface is easy to use “out of the box,” supporting a novice user in rapidly putting together a schedule by surfacing the right information; however, we left the user in control of the ultimate schedule of events. The business was able to see efficiencies in terms of a reduction of a time planning these events; common event day stressors can be handled manually or automatically depending on the user’s real life proficiencies in solving these challenges. 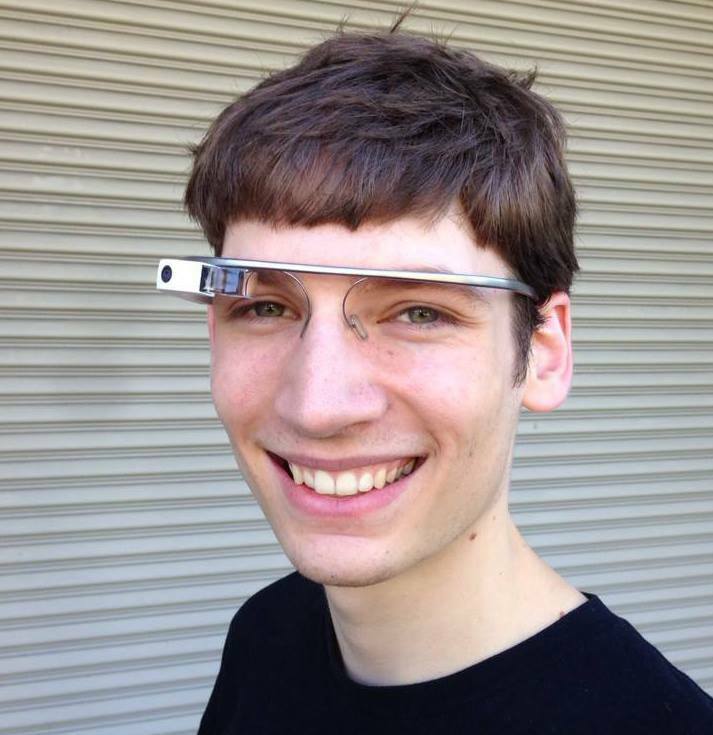 We managed a tool which let the user remain in control of the machine; while allowing the machine to reduce the cognitive load during critical junctures in executing these events. Nicholas Carr’s lesson for UX designers was well-heeded. 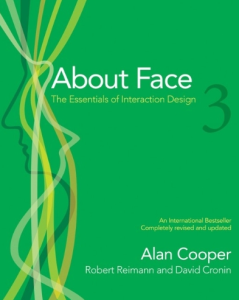 Perhaps one of the most striking recommendations in Cooper’s quintessential textbook on the topic of Interaction Design is the one that might be the most challenging for those of us who have been in the profession for a long time. 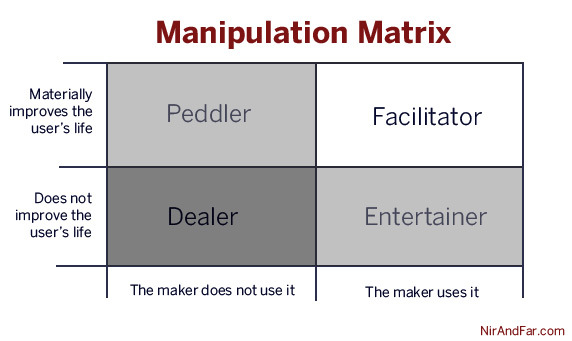 A powerful tool in the early stages of developing scenarios is to pretend the interface is magic. Being untethered by restrictions and constraints is necessary to come up with novel solutions to interaction problems. As we’ve talked previously on the book club, a user’s mental model rarely aligns with the technical reality of the situation. 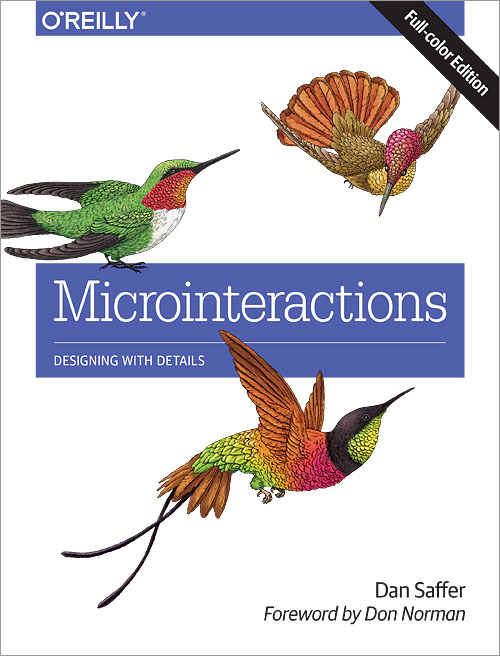 Elegant interaction design can tap into this, facilitating a friction-free experience for the user. When friction is reduced and tension between a user’s understanding and interface’s function are reduced, we can begin to develop for joy, surprise, delight, and other of the loftier goals. Technical requirements often can constrain our thinking as designers. Our mental models can be affected and constrained by knowledge/experience of what may be correct. How many times have you toiled away on a product, only to have the new person come in and immediately see a way out of a design conundrum that’s stumped you, or to offer a simple, even more elegant solution to something you thought you already had figured out? It’s not just that those new designers are incredibly talented and sharp. It’s that having an outside perspective sometimes enables us to more freely suggest a “truly novel” (page 160) solution. To think about things in a true tabla rasa, with no restriction is to think about world building as a fiction writer might. How would the ideal society go about doing this? Fiction writers have an easier go of it, simply because if their magic systems are unexplainable, or their methods for propelling a spacecraft faster than light are based on specious reasoning, no one’s going to hold them responsible for that. It’s fiction after all. We’re not developing fiction. Out solutions must be feasible and technically implementable. 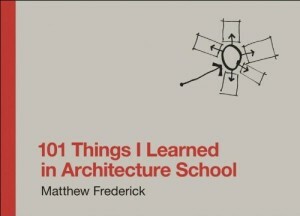 One thing I have to be consciously aware of is how a) my experience in developing back ends [oh so far ago!] and b) my 10+ years of pitching solutions for backends sometimes causes me to consider prior limitations earlier in the process than I should. Pitching a solution for Drupal? worked with Drupal before? It definitely requires a sort of mindfulness to get back to the magic and put these things away. It certainly can be a challenge, and it’s a tension that experienced user experience designers must navigate in their work. It’s an asset when we have a familiarity with the technology so that we can have meaningful conversations with partners on a project: we can collaborate to mitigate technical limitations and come to better solutions. But sometimes, we need to put the negotiation and implementation part of a project away for a second. Surely “all planning is implementation,” and one without the other is not either or. We should not lose sight of the importance of not caring about the plausibility of a solution, when brainstorming. Sometimes to capture the magic, we must not try to understand the magic.